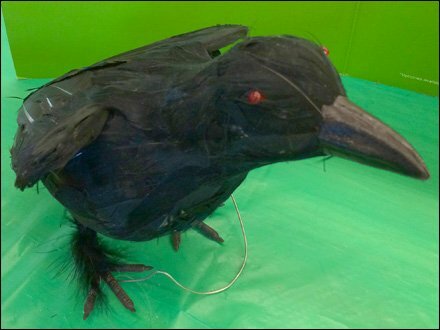 Though a Halloween prop, this scruffy Crow or Raven conveys a dirty, germy feel, that makes a Flu Shot just what the Doctor ordered to preserve your good health. 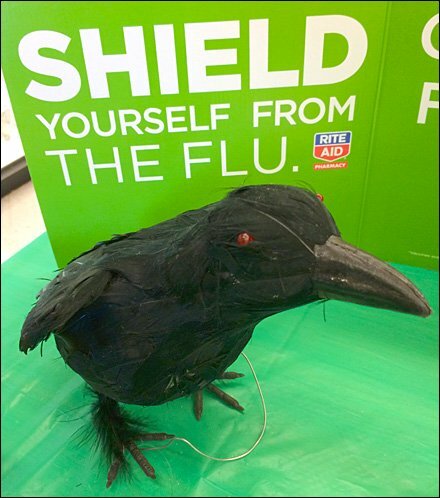 Some might have used an clean-shaven, antiseptic Rite-Aid® Pharmacist doll or photo as a positive invocation and “pull” to the in-store service. I think something a bit nasty like this germy bird as a “push” to the service more effective. CLICK the thumbnail for a Crow Closeup then decide for yourself.